I will add Yes that SAA is very nice so smooth for a gun of its age. /Besides, it's the ultimate BBQ gun. This is a clone, but it's mine and very, very smooth. BBQ gun, a gun that's pretty enough to wear to a gun enthusiasts Bbq. And be shone off in a really nice, old fashioned, cowboy holster. Thats a nice SA. 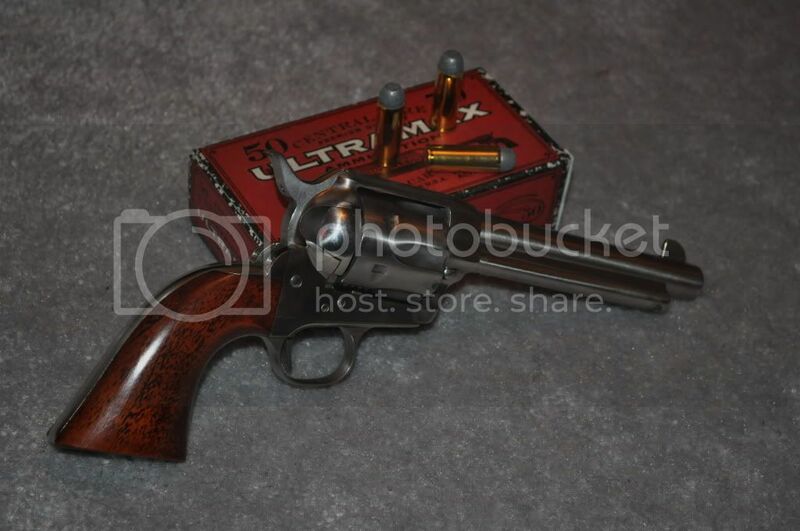 looks like a uberti. I have a uberti and a old valquero. Its definatly fun to light them off. Ive often thought of OCing my valquero. Yes I have the old time hip holster rig with accomadation for 20 rounds. I like to shoot Corbon .45 hollow points in the ruger. lottsa bang. Always Remember, Be confident , Not Cockey.